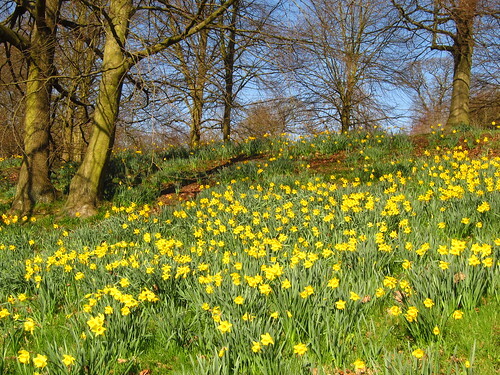 When spring has sprung on Hampstead Heath, there are many things to see. 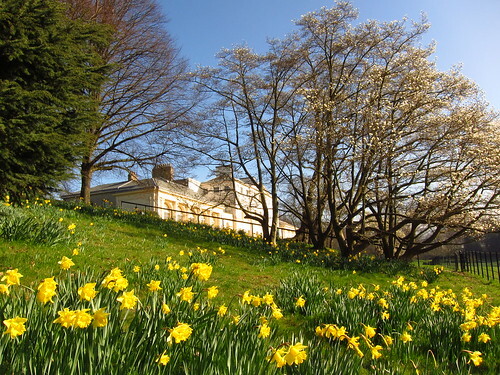 For me, personally, the daffodils at Kenwood House are the most impressive sign of spring there currently; there are many of them, and they look so cheerful. This springtime scene actually looks like it's somewhere in the English countryside, doesn't it? This is London, too.